I didn't read actually very many general business books, but I like biographies and autobiographies, I think those are pretty helpful. Actually, a lot of them aren't really business. [...] Isaacson's biography on Franklin is really good. Cause he was an entrepreneur and he sort of started from nothing, actually he was just like a run away kid, basically, and created his printing business and sort of his way of doing that, and then over time all of the science and politics. I'd say certain he's one of the few people I most admire. Franklin's pretty awesome. 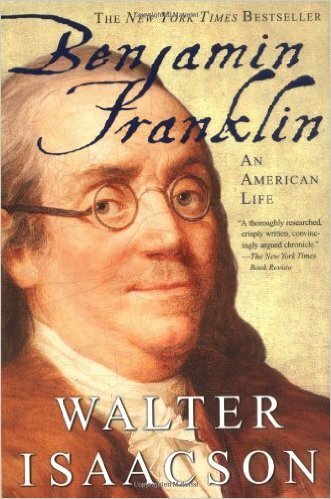 Some other books I’ve really enjoyed: [...] Benjamin Franklin: An American Life.